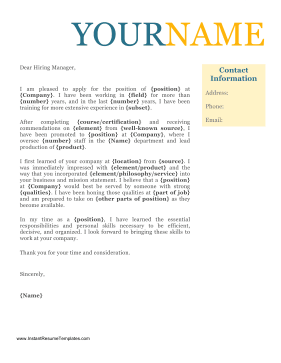 Catchy and bold, this sample cover letter has the applicant's name in large, colorful letters, along with contact information in a pale orange box.Match the set! Create a unified and professional application by pairing this cover letter with the matching resume here. More sample cover letters can be found at CoverLetterExamples.net.